Traffic laws exist to keep you safe. If you fail to obey them, then you could end up in a crash that could damage or total your vehicle, and cause serious injuries or even death. Most traffic accidents occur because of failure to obey the laws as they relate to right of way, so it is vital that you understand them. “Right-of-Way” is a term that identifies who is entitled to enter roadways, change lanes, move through intersections, make turns or conduct other movements when traffic is present. 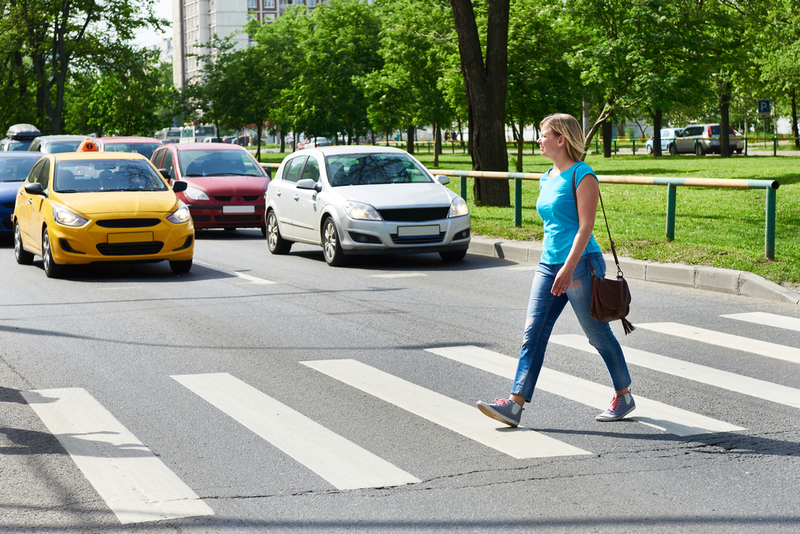 It is vital that motorists and pedestrians alike understand the laws regarding right-of-way, and it is equally important that you know when to cede right of way even when another person may be legally in the wrong. If you are travelling toward an intersection, and you are coming up on a stop sign, you have to stop and give the right of way to anyone in a vehicle or on foot who is already there, or who is close enough that you cannot proceed without risking a collision. If there is no stop sign or signal, then you must give the right of way to whoever arrives at the intersection first. If you arrive at the same (or nearly the same) time, then the vehicle on the right has right of way. At 4-way stops, pedestrians have the right of way. Then, vehicles may move through on a “first come, first served” basis. If two vehicles arrive at roughly the same time, right of way goes to the vehicle on the right. Although this is not the law, a bit of common courtesy and good sense can often prevent accidents where right of way cannot reasonably be determined. When you are approaching a “yield” sign, you must slow down, and be ready to stop and give way to oncoming traffic. If you are merging, give way to traffic already on the roadway. Where there are traffic lights, do not enter the intersection just because you have a green light. You should proceed only if you will not be blocking traffic coming from other directions. When crossing a highway or entering from a secondary road, private road or alley, yield to other vehicles and pedestrians already in the main roadway. Without exception, you must yield to fire, police or other emergency vehicles when their sirens are sounding and their blue and red lights are flashing. Slow down, and move over to the side of the road. If you are in an intersection, keep going until you are out of the intersection, and then pull over. You must also always yield to highway maintenance vehicles. In Georgia, if you fail to yield right of way, you will be assessed a three-point penalty against your driver’s license. Fines will vary from county to county, but you can generally expect a fine of between $140 and $225 for failure to yield to another private vehicle, and up to $550 if you fail to yield to an emergency or maintenance vehicle. For further information, consult the Georgia Drivers Manual, Section 5, pages 22-23.